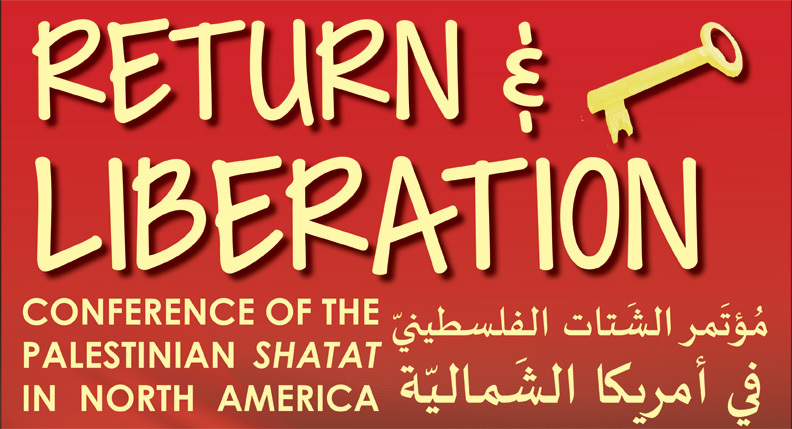 Register and Donate for the Conference of the Palestinian Shatat! Abdelrazzaq Takriti, Mezna Qato, Ramzy Baroud, Nada Elia, Dina Omar, Mostafa Henaway, Lamis Deek, Palestinian singer Nisreen Hajaj and many more. More than that, this conference is a unique opportunity for Palestinians in shatat and their allies to join in this historical gathering to re-examine our history and build together towards a free future for our people and land by putting an end to Zionist colonization and normalization everywhere throughout the Palestinian and Arab homeland. Join us to plan, discuss and learn from each other about our homeland and how we can become active participants in reviving our movement. Reach our attendees and supporters – and help to support the conference – with your message and content with a Journal Ad in the conference program. Full-page, half-page and quarter-page ads are available from $150 and up. Ads will be distributed in person to all attendees and online. Sign up for your Journal Ad online or email us at support@ palestinianconference.org. Learn more about travel directions to Vancouver and the UBC Campus, accommodations and public transit at our Logistics and Accommodations page. The main airport in Vancouver is YVR (Vancouver International). Please note, if you are travelling from the US, you may find it more affordable to fly into Seattle (SEA) or Bellingham (BLI) – buses are available to Vancouver. This conference relies on the grassroots to support and fund our efforts. Your donations make this conference possible and sponsor Palestinian youth and students to attend and participate in the conference! Donate today and receive a premium from Palestine Online Store – Ghassan Kanafani cards, DVDs on Palestine and more. Donate online here!